The RE Council is delighted to be holding its Annual General Meeting at Neasden Temple (BAPS Shri Swaminarayan Mandir) on Thursday 11 May from 11.00 - 16.00. Authorised representatives of RE Council member organisations will receive the AGM calling note no later than 21 days before the meeting. We are extremely grateful to our colleagues at Neasden temple, and particularly Lakshmi Vyas from the Hindu Forum of Britain, for kindly agreeing to host this meeting. The Commission met for its second formal meeting at the Royal Foundation of St Katharine, Limehouse, in London’s East End on 30th and 31st March. The Commission discussed the wide range of evidence that has been submitted so far, including the substantial number of responses to the call for evidence and the presentations at the first public evidence gathering session, held at The Grey Coat Hospital School. The Commission is making good progress towards its interim report, due out later this year. The next meeting of the Commission is at the start of July 2017. The next public evidence gathering session will be held on Thursday 4 May in Room G39 at the School of Education, University of Birmingham from 5 - 7pm. If you would like to make a seven-minute presentation to a panel of four commissioners or if you would just like to attend the session, please email Commission Project Manager Jon Reynolds at evidence@commissiononre.org.uk. Visit the Commission on RE website to find out more about the 14 commissioners, to read the latest Commission news, contribute ideas and submit evidence to the Commission, and to sign up to receive news alerts. Circulated to schools in time for the start of the new school year in September 2016, Staffordshire’s new Agreed Syllabus received its official launch in January 2017. Teachers are enthusiastically implementing it and acclaiming its up-to-date educational content and its teacher-friendly character. Two other West Midlands SACREs are now looking to adopt the Syllabus for their own schools. While containing some elements of continuity with the previous Agreed Syllabus, the new Syllabus has some important innovatory and radical features. Its undergirding rationale is that of fostering in each pupil an increasing level of religious literacy. Three complementary aims spell this out in terms of Exploring (to acquire insightful knowledge), Engaging (with ultimate questions), and Reflecting (on the reality of religious diversity and the issues this raises). The third of these aims goes beyond “learning about” and “learning from” religion, drawing pupils out of their comfort zones and supporting them as they develop skills and dispositions appropriate to living well in a religiously plural and open society. The Syllabus offers a framework for assessing progress in RE by means of a table of age-related statements of expectation for each aim. This table is an entirely original and independent piece of work. Other new features include a steer that Islam should feature in the RE curriculum in all Key Stages, in addition to Christianity. 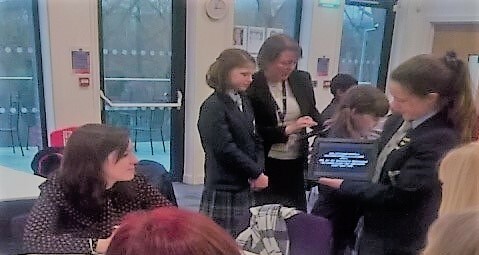 The Agreed Syllabus Conference’s aspiration is that the new Syllabus will engender meaningful insights and constructive attitudes as pupils grow in religious literacy and in their understanding and awareness of the world they live in and of their future in it. On Saturday 25 February 2017, Essex Jamaat once again opened its doors to guests from the local area. Attendees included people of all faiths and none. 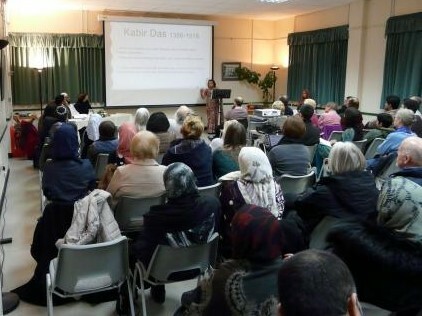 The theme of the event was ‘Prophets and Messengers’. After opening remarks from the MC, Ridhae Sheikh and the Jamaat President, Al-Hajj Fayyaz Bhai Haji, the scholars and representatives of each religion gave short speeches on the topic and then took questions from the attendees. In between the speeches a young member of Essex Jamaat, Rameez Naqvi, eloquently recited his original poetry, which was very much appreciated by all the attendees. Rameez made reference to a number of different scriptures in his poem. This was all followed by a Q & A session to the panel of experts. The debate was lively, insightful, and enlightening. The Hindu Council UK's Education Director continues to participate in school assemblies. Recent sessions have taken place at St Helen's and Merchant Taylors' schools in Northwood, and Fulham Prep School. This video shows some of the astute questions that were asked by youngsters at Harrow High School. The NCHT(UK) is delighted to announce the launch of their core response to the government's 16-week public consultation on the subject of caste and the Equality Act 2010. 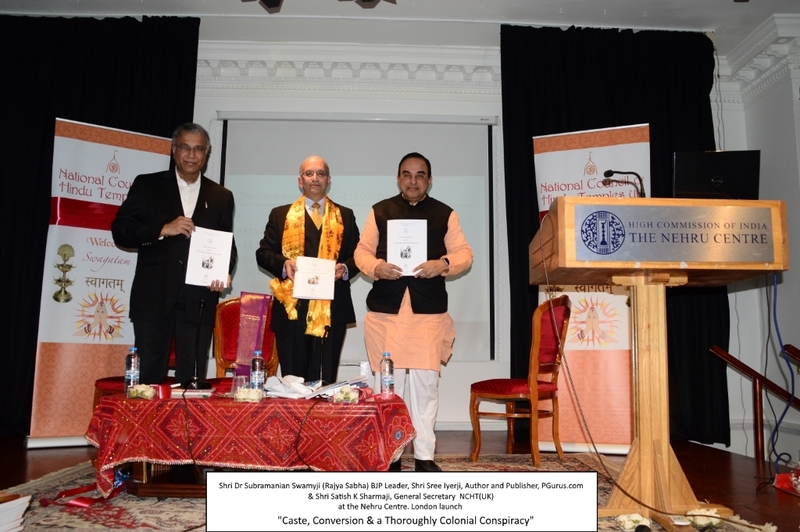 Dr Subramanian Swamy MP of Rajya Sabha and the leader of the Bharatiya Janata Party (pictured) visited the UK at the end of March to help launch the NCHT(UK) report entitled Caste, Conversion and a Thoroughly Colonial Conspiracy. In this video, Satish Sharma from the National Council of Hindu Temples (UK) talks about events in the UK that led to the publication of the report. 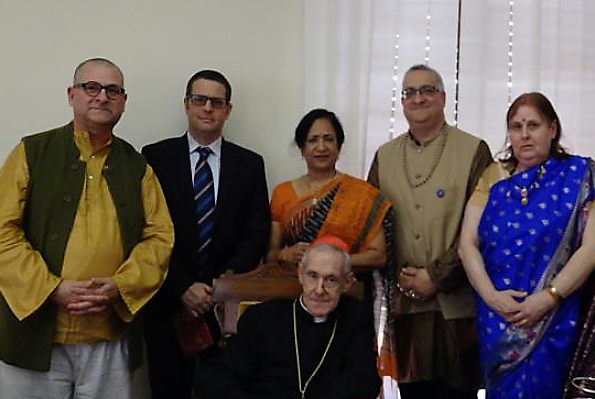 The Board members of the Hindu Forum took a delegation to visit His Holiness Pope Francis on 15th March 2017. Following the meeting with Pope Francis, delegates enjoyed a longer meeting with the President of the Pontifical Council for Interreligious Dialogue, Cardinal Jean-Louis Tauran (pictured). For more news from the Hindu Forum of Britain, please download this update. 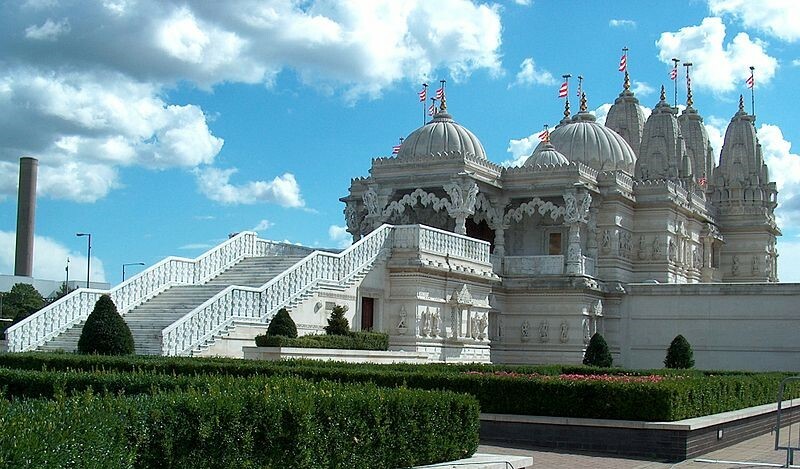 The RE Council is delighted to be holding its Annual General Meeting at Neasden Temple in May. On a recent visit to the temple, colleagues from the REC were kindly given a guided tour of the temple and had the opportunity to visit the Understanding Hinduism exhibition. The exhibition provides an educative insight into the values and wisdom of Hinduism through 3D dioramas, paintings, tableaux and traditional craftwork. Visitors can learn about the origin, beliefs and values of Hinduism, the contribution of Hindu seers, and how this ancient religion is thriving today through traditions such as the Swaminarayan Sampradaya. The exhibition also features an 11-minute documentary which narrates the temple's religious significance and the story of its creation, from inception to ceremonial consecration. To find out more, visit the Understanding Hinduism webpage. For information on arranging a school visit to the temple, click here. The TeachRE:LITE course has been renamed to make it clearer what it is and who it is for. It is now called TeachRE: Primary CORE and is aimed at those on primary ITT courses or primary teachers in their NQT year. Local networks, organisations and ITT providers are particularly encouraged to buy this course in bulk for their teachers to support those entering the profession. Please email Kathryn Wright at Culham St Gabriel's Trust if you would like to discuss this further kathryn@cstg.org.uk or find out more at www.teachre.co.uk. RE Today are offering both primary and secondary schools the chance to attend one of the following courses for as little as £99 (original price £205) – Don’t miss out! This one-day course addresses practical ways of learning about and from three religions: Sikhism, Hinduism & Christianity. This one-day GCSE training course has been re-shaped to meet the requirements of the finalised specifications. The RE PD portal is managed by the REC and is a one-stop shop for teachers of RE to find out about professional development opportunities of all kinds. The portal includes a database of courses across the UK and online. If you are offering any PD courses, workshops, or other provisions over the next academic year, please get in touch or submit your opportunity using the submissions form. You can now also follow the RE PD Portal on Twitter @RE_PDPortal, to keep up-to-date with new PD opportunities. If you are a PD provider and would like to receive the half-termly call for submissions, sign up to the mailing list here. 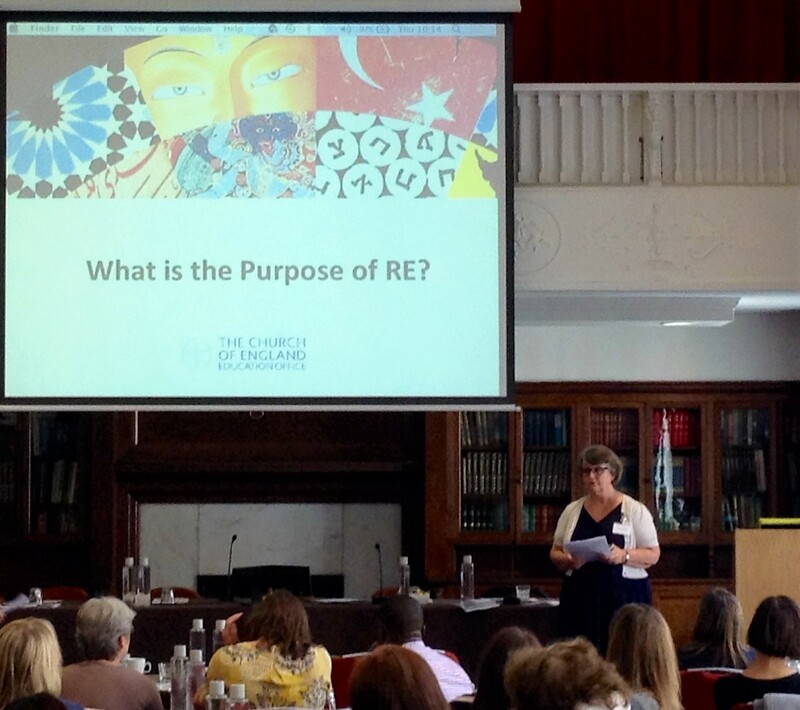 The Church of England runs an annual conference for RE subject leaders at both primary and secondary church schools. This year the theme will be ‘RE for Life in Modern Britain’ and delegates will be considering how a church school RE curriculum should look if it is to prepare all our pupils for life in modern Britain. The key note speaker will be Professor Grace Davie and there will be a range of workshops led by practising RE teachers and members of faith communities. Although it is aimed at church school RE subject leaders, all are welcome. AULRE’s annual gathering this year will be with SERA (Scottish Education Research Association) from 22 - 24 November at the seaside to the beautiful town of Ayr (easy connections from Glasgow airport. More information is available here. An International Conference on Christianity, Education and Contemporary Culture will be held at Canterbury Christ Church University from 7 - 9 July 2017. This conference is for those with a scholarly interest in Christian Education. A particular goal for the conference is to encourage the next generation of Christian thinkers by supporting those studying for a postgraduate degree or involved in post-doctoral research. The theme of the conference is reflection on the interaction of Christian Education with contemporary culture. Last month, Richard Dickson from Westhill Trust attended the Liberal Democrats' spring conference in a personal capacity, at which the party’s policy on RE was debated. Unfortunately, Richard was not called to speak but a keenly debated motion was passed which included provision for a National Curriculum on RE that is ‘appropriate to local circumstances’, that ‘covers all major religious and non-religious viewpoints’ and ‘is included in inspections by Ofsted’.